Nitrates are water soluble and do not adhere to soil, so they may leach during irrigation. 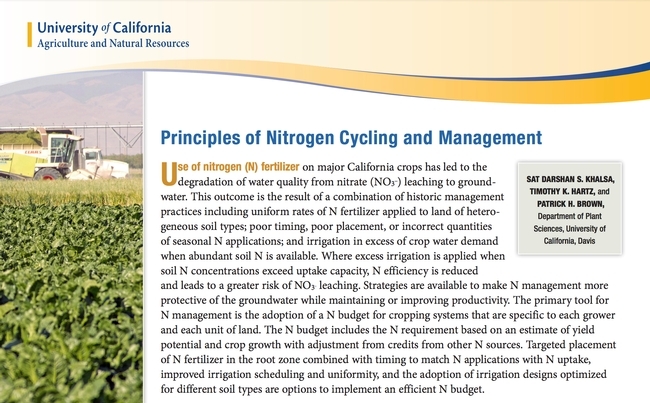 The science-based publications are associated with a series of trainings for growers and Certified Crop Advisers to develop efficient nitrogen management practices, an effort coordinated by UC ANR's California Institute for Water Resources. The free publications, created from training materials, lessons learned from the training sessions and from additional UC research, can be downloaded at http://ucanr.edu/nmgmtpublications. Doug Parker, left, and Terry Stark of CAPCA partnered to organize the series of nitrogen management trainings. 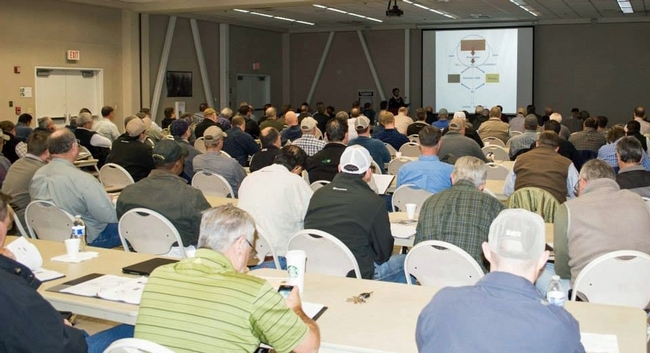 The Nitrogen Management Training and Certification Program is a joint effort between the California Department of Food and Agriculture, UC Agriculture and Natural Resources, California Association of Pest Control Advisers' Certified Crop Adviser Program and the Regional Water Boards. 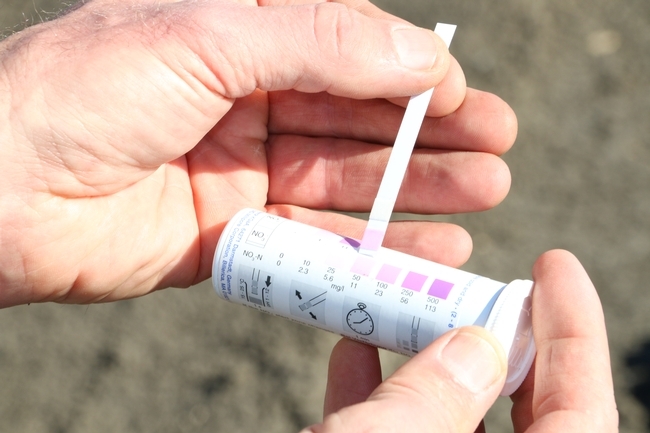 Growers can quickly assess soil nitrogen levels in their fields using quick nitrate test strips. Plants need nitrogen to grow, but excess nitrogen – from livestock facilities, septic systems, car exhaust and other sources – that escapes into groundwater and the air can impact the environment, human health and the climate. A new report from the Agricultural Sustainability Institute at UC Davis offers a big picture look at the scale and impacts of nitrogen in California. According to the California Nitrogen Assessment, excess nitrogen in the state comes primarily from agriculture and fossil fuel combustion. The report, published by UC Press, offers a scientific foundation to develop practices and policies that allow nitrogen's benefits while reducing the risk. For years, UC Agriculture and Natural Resources scientists have been working with farmers throughout the state to refine fertilizer management, irrigation efficiency and other farming practices to manage nitrogen, and the work continues. 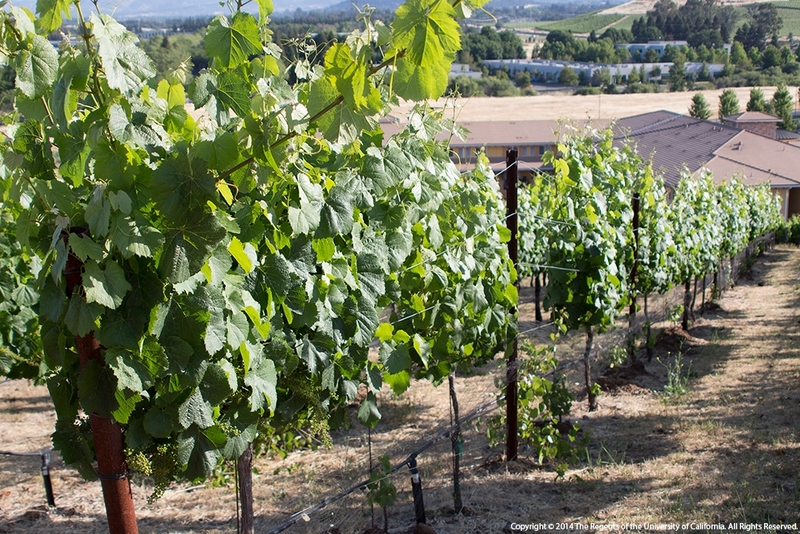 The following are some examples of UC ANR research and extension projects underway. Growers can use CropManage, developed by Michael Cahn, UC Cooperative Extension advisor in Monterey County, and UC ANR Communication Services and IT staff, to track and manage water and nitrogen fertilizer applications for their crop fields. The online application can be used on mobile devices or computers to help farmers use two tools to conserve water and make better use of nitrogen fertilizer while maintaining crop productivity and quality. Growers use the soil nitrate quick test in the field to measure the nitrogen level of their soil and the app to determine the optimal level of nitrogen fertilizer to apply based on UC ANR research on crop nitrogen use. CropManage also recommends water needs of a crop from weather station data and crop development models. CropManage estimates crop water needs using crop development models and weather data from stations like the California Irrigation Management Information System (CIMIS) station shown here in Salinas. Richard Smith, UC Cooperative Extension advisor in Monterey County, is leading several research projects evaluating the nitrogen requirements of vegetables including including cole crops, spinach, baby lettuce, a salad mix and cilantro. Smith is evaluating crop rotations with broccoli to scavenge nitrogen from the soil profile. 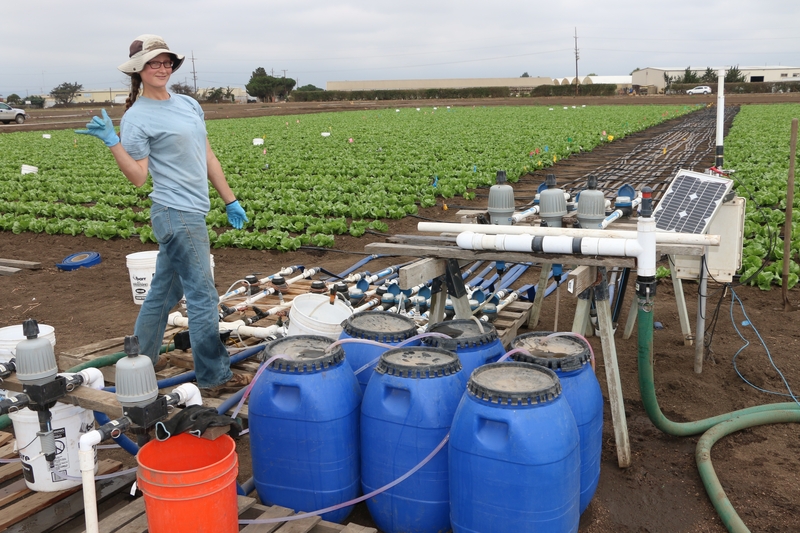 He is also evaluating slow-release fertilizers to minimize nitrate leaching losses in shallow-rooted crops such as baby lettuce and spinach in the Salinas Valley. Using wood chips and supplemental carbon sources, Tim Hartz, UC Cooperative Extension specialist in the UC Davis Department of Plant Sciences, worked with Cahn and Smith to refine a process to remove nitrate from tile drain water, which typically is very high in nitrate. The carbon in the wood chips supports the activity of anaerobic bacteria that chemically reduce the nitrate to N2, a benign gas. Laura Murphy, UC Cooperative Extension research assistant in Monterey County, manages the treatment manifold for the “nitrate in water” field trial in head lettuce. Water quality regulations in many regions of California now require farmers to report the amount of nitrogen fertilizer that they apply to their fields and the nitrate concentration of their irrigation water. Smith, Hartz and Cahn have just finished three seasons of field trials that demonstrated that the nitrate in groundwater supplied a substantial portion of the fertilizer requirements for lettuce and broccoli. By accounting for the nitrate in irrigation water and using the soil nitrate quick test to monitor soil nitrogen levels, growers may be able to significantly reduce the amount of fertilizer nitrogen they apply to vegetable crops. 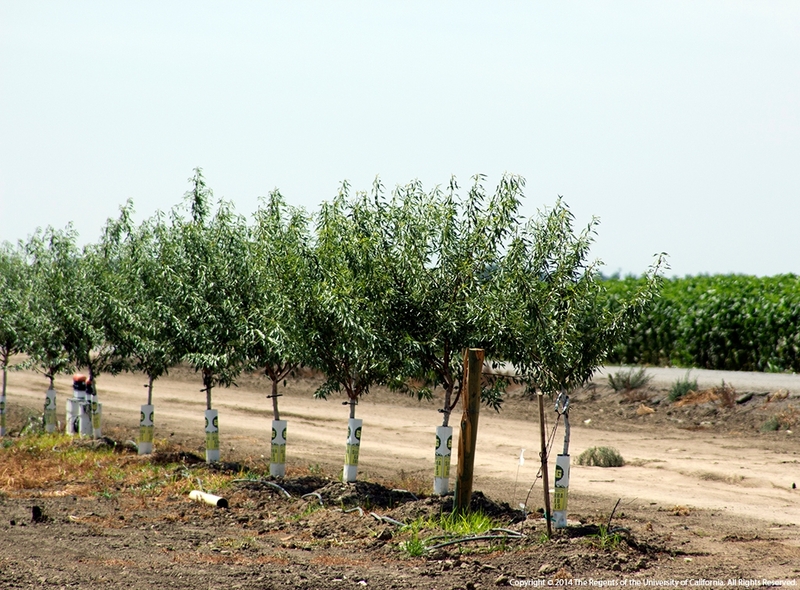 The majority of almond growers apply fertilizer through micro-irrigation systems and an increasing number of growers are irrigating with water that is saline. Patrick Brown, professor in the UC Davis Department of Plant Sciences, is studying how to use micro-irrigation to reduce nitrate leaching and manage soil salinity by varying the frequency of irrigation and the length of time water is applied during irrigation. To identify the best irrigation management practices to control soil salinity and to minimize nitrate leaching to groundwater, Laosheng Wu, professor and UC Cooperative Extension specialist in the UC Riverside Department of Environmental Sciences, is using computer simulation to consider soil, water, crop nitrogen demand and fertilization with irrigation methods. 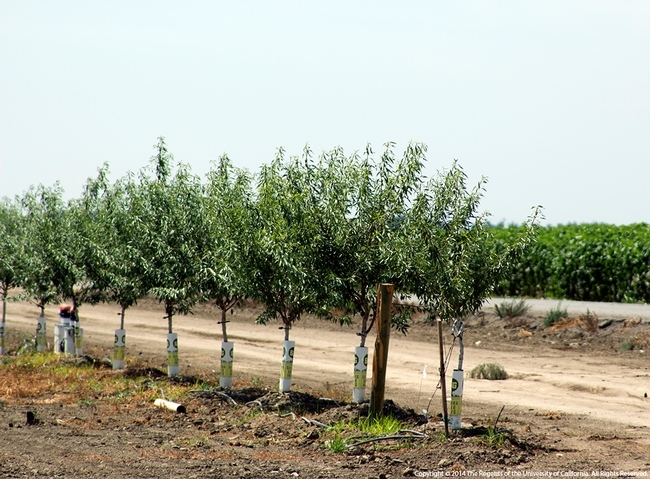 In collaboration with UC Cooperative Extension advisors, Wu is conducting field experiments on alfalfa in Imperial County, almonds in the Central Valley and avocados at South Coast Research & Extension Center in Orange County to validate the simulations. To develop a tool for growers and crop advisers to estimate soil nitrogen, Daniel Geisseler, UC Cooperative Extension specialist in the Department of Land, Air, and Water Resources at UC Davis, is gathering data throughout California to estimate field-specific nitrogen mineralization rates. 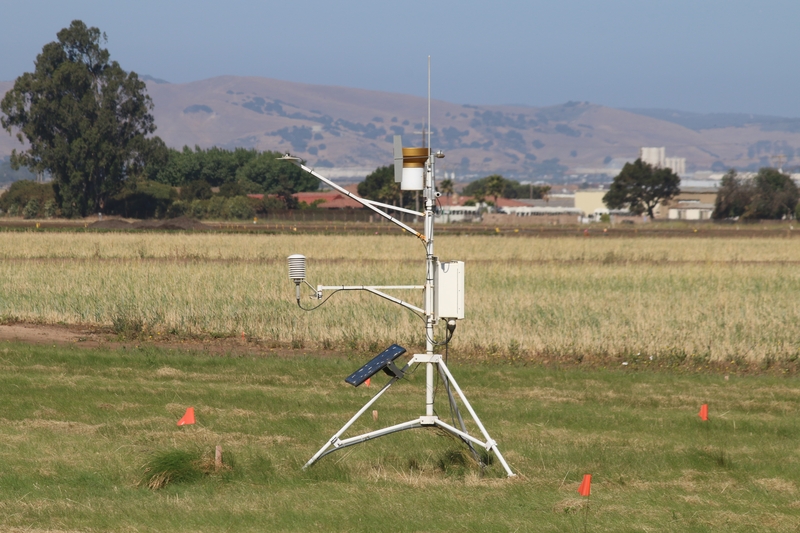 This project, funded by UC ANR's California Institute for Water Resources, will use nitrogen mineralization data to develop an online tool to help growers adjust their applications of fertilizer. The tool has the potential to increase nitrogen use efficiency in crop production, resulting in lower risks of nitrate leaching to groundwater. 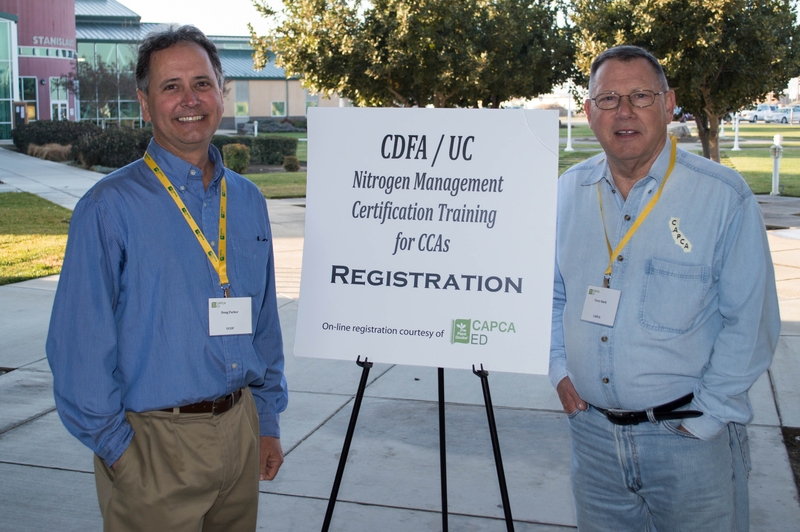 Between 2014 and 2016, approximately 900 Certified Crop Advisers participated in a nitrogen management training program coordinated by UC ANR's California Institute for Water Resources with support from CDFA's Fertilizer Research and Education Program. The technical and applied training improves CCAs' understanding of sound nitrogen management practices to make informed recommendations to growers. The book, “The California Nitrogen Assessment: Challenges and Solutions for People, Agriculture, and the Environment,” is available for purchase at ucpress.edu. The 20-page executive summary can be downloaded for free at asi.ucdavis.edu. The University of California Division of Agriculture and Natural Resources (UC ANR) has appointed Soroosh Sorooshian as chair of the Rosenberg International Forum on Water Policy. Sorooshian is distinguished professor of civil and environmental engineering and earth sciences at UC Irvine. The forum, a program of UC ANR's California Institute for Water Resources, was launched in 1996 with an endowment gift from the Bank of America honoring then-retiring bank chairman and CEO Richard Rosenberg. Experts from all over the world convene at the Rosenberg Forum to identify ways in which conflict in the management of water resources can be reduced and to promote science-based policies to govern the management of water resources. The forum meets biennially at different locations around the world. Previous forums have been held in San Francisco (1997), Spain (1999 and 2008), Australia (2002), Turkey (2004), Canada (2006), Argentina (2010), and Jordan (2013). The most recent forum was in January 2016 in Panama City, Panama. Attendance at the forum is by invitation and limited to 50 water scholars and senior water managers. Participants devote their time at each forum to discussions of previously commissioned papers, which are published following the meeting. The conclusions and findings of each forum are also published. Sorooshian is also director of the Center for Hydrometeorology and Remote Sensing in the Henry Samueli School of Engineering at UC Irvine. His fields of interest include hydrometeorology, water resources systems, climate studies and application of remote sensing to water resources issues in arid and semi-arid zones. 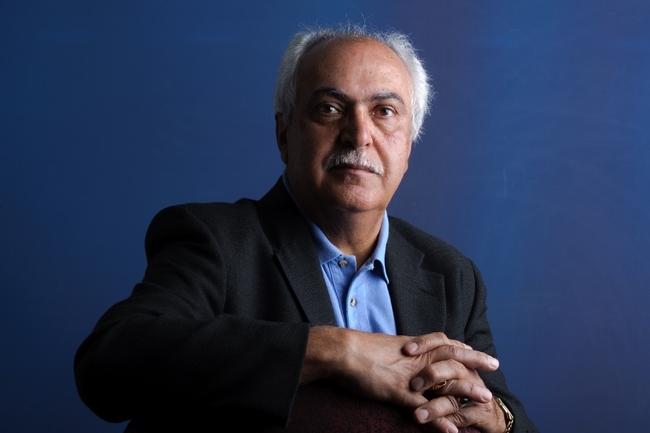 Sorooshian is a member of the National Academy of Engineering and has garnered many international and national awards for his work. His appointment was effective April 1, 2016. Drought strategies are available for growing alfalfa and other crops. Drought strategies for managing alfalfa and many other crops are available free from UC Agriculture and Natural Resources. As California endures a fourth year of drought and ever-tightening water supplies, water-management strategies have become even more critical to farmers. 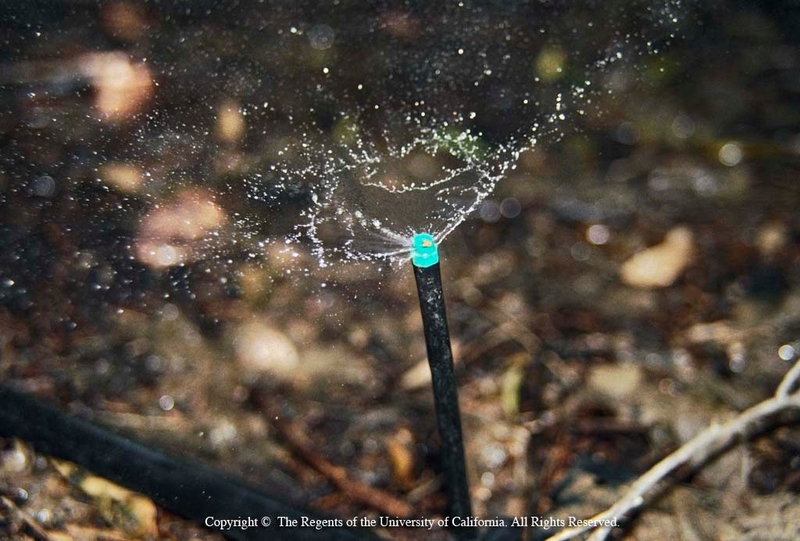 To help farmers make the best use of the water they have available, a series of new and updated drought tips fact sheets has been developed by UC ANR scientists and funded by the California Department of Water Resources. 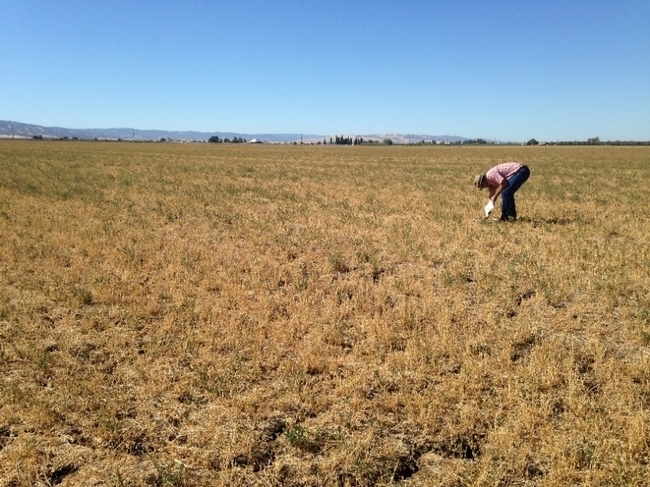 UC ANR scientists have identified best management practices for a wide range of annual and permanent crops and irrigation systems and methods during the drought. In the drought tips series, they also give advice for managing soil salinity and using shallow groundwater for irrigating crops. For beef cattle, they provide recommendations for culling herds and feeding to supplement grazing. Several more drought tips for dozens of commodities and situations are in the process of being published and will be posted online soon. 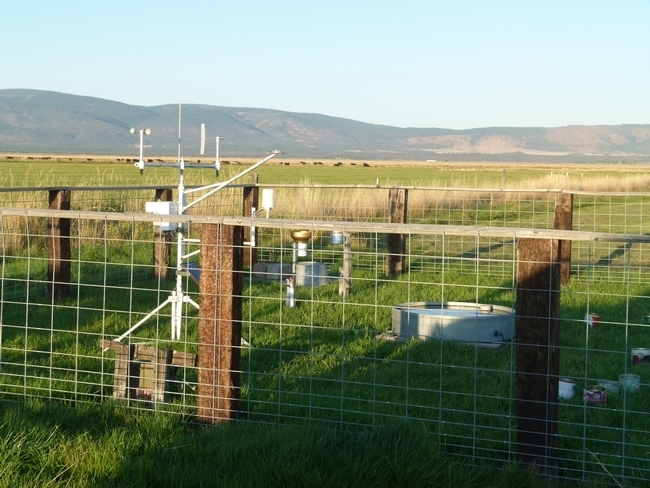 Decades of UC ANR research underlie the information contained in the drought tips. In the 1970s and again in the 1990s, UC ANR partnered with DWR to develop a series of drought management fact sheets. “DWR has worked with UC ANR to update the drought tips and make sure the latest and best information on water management is available to growers,” said Peter Brostrom, DWR Water Use Efficiency Section Manager. The California Institute for Water Resources, which coordinates water-related research and extension education across the 10 UC campuses and UCANR, has the drought tips and more drought resources online at http://ciwr.ucanr.edu. UC ANR's California Institute for Water Resources and the California Department of Water Resources also offer drought-related information in a series of videos. Water experts from UC and other agencies and institutions have recorded presentations on high-priority drought topics. 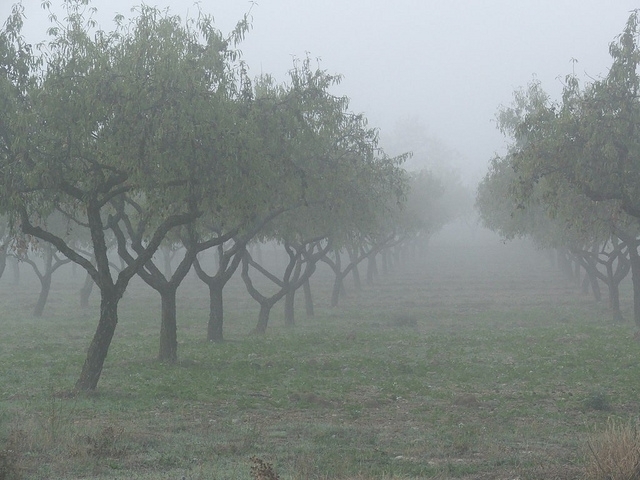 Currently 38 videos can be accessed for free on computers and mobile devices at http://ucanr.edu/insights.